As Trevithick entered his mid-forties, with bankruptcy in the past and the high pressure steam engines in demand for many applications, his engineering career seemed secure. Yet, as ever, he was distracted by a new venture. This one kept him in South America for more than a decade, while his family lived in penury in Cornwall, not knowing whether he was dead or alive. 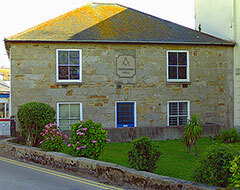 In May 1813, while still paying off his debts, he had met Swiss watchmaker Francisco Uvillé (c.1781-1818) in Falmouth. This gentleman had just endured his second lengthy sea voyage from Peru specifically to find Trevithick, despite suffering acutely from seasickness. Uvillé first visited England in 1811, charged with finding suitable steam-powered pumps for draining the Andean silver mines of Cerro de Pasco, some 250km north-east of Lima. Uvillé had first tried Boulton & Watt's foundry in Soho, Birmingham, but was disappointed to find that their atmospheric engines couldn't develop enough power to work efficiently at high altitudes. And transporting the massive machines along mule tracks through the mountains would be impossible. On his return to London, he bought a working model of a Trevithick engine in William Rowley's shop at 7 Cleveland Street, near Fitzroy Square, for 20 guineas (£21). The model worked so well in Cerro de Pasco that Uvillé was sent back to England to find Trevithick and commission some engines. Before he set out, in July 1812 the Pasco Mining Company was formed in Lima by Spanish merchant Pedro Abadìa, Peruvian José Arismendi and Uvillé himself. Abadìa was the major partner, putting up a half share of the 40,000 pesos (the peso coin was made from silver and sometimes called a silver dollar, or just a dollar) capital. Arismendi and Uvillé each put up a quarter share. In this period, the political climate in South America was volatile. Civil wars broke out as peoples struggled for independence from Spain and Portugal. Following the abdication of King Ferdinand VII of Spain in 1808, local men (prominent among them 'The Liberator' — Venezuelan-born Simón Bolívar [1783-1830]) fought to rid their countries of colonial rule. Peru would declare independence on 28th July 1821 and the entire sub-continent's autonomy would be complete by 1825, the same year that Upper Peru became a separate republic — named Bolivia, in honour of Bolívar. Uvillé had been instructed to buy two steam engines, ideally with a third on credit, and to hire a couple of workmen to operate them. He was authorised to spend 30,000 pesos but, separated from his partners by 9,800km, he was soon carried along by Trevithick's enthusiasm. The Cornishman began by recommending and ordering six high pressure engines, rapidly overspending the budget. Trevithick realised that yet more machinery would be required but he was hampered by Uvillé's lack of funds. Pending payment, work on the engines already under construction stopped. Somehow Trevithick managed to raise about £3,000 himself, with which he bought a 12,000 pesos stake in the Pasco Mining Company, entitling him to approximately a fifth of any profits. This arrangement was documented and signed by Uvillé and Trevithick on 8th January 1814. 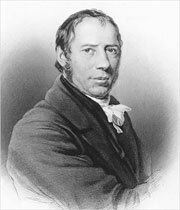 Trevithick then sold part of his share at a profit to finance the additional plant. Though Trevithick negotiated with both Neath Abbey Ironworks in south Wales and Hazeldine & Co in Bridgnorth (Shropshire), most of the engine components were made at Bridgnorth under the supervision of John Urpeth Rastrick. It might have seemed logical for Trevithick to use Harvey & Co in Hayle, run by his wife's brother Henry Harvey (1775-1850). However, the firm had experienced difficulties and closures during 1812-16 when it was Blewett, Harvey, Vivian & Co (also known as United Mining Company). Some of Trevithick's work then being undertaken at Hayle had to be transferred to Bridgnorth, where he found much in common with Rastrick. Altogether nine engines, four extra boilers, two crushing mills, and various spare parts and tools were destined for Peru. Of the nine steam engines, eight were purpose-built single acting models with open-topped cylinders. Four were 24.6kW pumping engines and four were 6kW whim engines. The ninth engine was a 6kW portable (locomotive) rolling engine built around 1812 and originally intended for a sugar cane plantation in St Kitts. It was used instead at the Mint in Lima. The total costs amounted to �560, which was more than doubled by insurance and shipment to �,152 (around �0,000 today). The whaler Wildman sailed from Portsmouth for Callao, the port of Lima, on 1st September 1814 and arrived on 29th January 1815, carrying Uvillé, the machinery and a trio of Cornishmen to operate it — none of whom would return. They were Thomas Trevarthan (1767-1815) and his assistant William Bull (1794-c.1818), and Andrew Vivian's younger brother Henry (1771-1817) who was married to Trevithick's sister Thomasina. Unfortunately, Henry was known for "making too free with an evening glass" and he died of alcohol poisoning. The route from the port to the mines, which are 4,330m above sea level, was a narrow track cut into the mountainsides and passing over slender bridges above deep ravines. The only available transportation was mules, llamas or manual labour — all the machinery had been sent in pieces to be assembled on site. It took 12-18 months to get all to the mines, though it was reported to Trevithick that one engine had begun working satisfactorily in April 1815. Bull started a pumping engine at Santa Rosa mine on 27th July 1816, which achieved drainage below adit level. Nevertheless, it was clear that some of the engines were not producing enough steam to operate properly, particularly the one at the Mint. The Cornish boilers were designed to burn coal on internal fire grates. If wood was the only fuel available, Trevithick had specified that the boiler be encased in masonry so that a wood-burning grate could be set under it, increasing the heatable surface area. Perhaps the instructions went awry, or the language barrier between the Peruvian workforce — who had never seen a steam engine before — and the Cornish operators proved insurmountable. 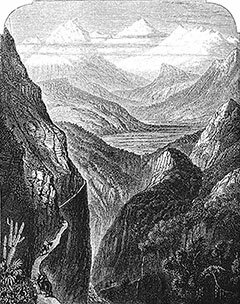 Trevithick decided he had to go to Cerro de Pasco personally, to sort out the matter and protect his investment. Blithely believing that his family would have a secure income from the patent premiums on his plunger pole engine (patented 1815), he rented a house for them in Penzance (probably on Market Jew Street) so that his children could attend school there, but he failed to pay a full year's rent. He barely had time to celebrate the birth of his sixth and last child, Frederick Henry (1816-77) on 8th October before he boarded the whaler Asp, which departed Penzance on 20th October 1816 for Callao. With him were boilermaker James Sanders and solicitor William Page. The ship arrived on 17th February 1817, bearing more mining equipment, coining apparatus for the Mint and furnaces for refining and alloying the silver. Soon after arrival, Trevithick decided he needed life insurance so that if disaster struck, his family would receive money. In typical fashion, it did not occur to him to make arrangements to pay the annual premiums himself and that burden fell to his wife Jane. She was already suffering financial hardship and had to sell her own possessions to meet the bill. Trevithick solved the problems with the Mint engine in Lima. By the time he reached the mines, Vivian was dead and only two pumping engines and two whim engines were working. Uvillé had been in charge until Trevithick's arrival. He resented the engineer taking over and started making accusations of mismanagement. With the written permission of the Viceroy of Peru, Joaquín de la Pezuela (1761-1830), Trevithick left to prospect other mines, despite Abadìa's pleas and offer of 8,000 pesos a year plus expenses if he stayed. During his travels, Trevithick found a mine with rich veins of copper and silver in Caxatambo (Cajatambo) province. Though he worked the mine and had some 300 tonnes of ore ready for shipment to England for smelting, Peru's political upheavals prevented him exporting it. At the time, Trevithick estimated the copper deposits were worth 12 million pesos. He also began mining copper near Valparaiso in Chile (date unknown) but again did not manage to export any of the ore.
By the end of August 1818, both Bull and Uvillé had died, and Trevithick returned to Cerro de Pasco in full control. Fuel for the engines became a critical issue as there was neither coal nor wood, only turf, at the mines. Any other fuel had to be brought from afar. In 1819, a low-grade coal seam was discovered nearby and this must have contributed to the sudden increase in silver production at Cerro de Pasco. From 1817 to 1822 there were fierce battles between the patriots and the Spanish forces, first in neighbouring Chile and then in Peru. On 11th December 1820, one of several battles was fought at Cerro de Pasco — this skirmish won by the patriots, who then wrecked the machinery and damaged the mines to prevent their use by the Spanish. Trevithick was pressed into Bolívar's army for a time, where he invented and manufactured a short-barrelled large-bore carbine. Being a poor marksman, he was soon allowed back to the mines. If war hadn't intervened, it seems clear that Trevithick would at last have made his fortune by bringing the latest technology to the South American mining industry. Rather than return to England without that fortune, the proud Cornishman set about trying to find other ways to accumulate wealth. Stories of varying credibility abound concerning the remaining years of Trevithick's sojourn, though some details are known. One of the more grisly anecdotes relates how Trevithick used his first-hand experience of warfare to amputate the arms of a miner whose upper limbs had been crushed in an accident. The nearest doctor was more than 300km away in Lima and, believing the man would die, Trevithick offered to operate. The man agreed and survived the ordeal. On 16th July 1821, the Chilean frigate San Martin sank while at anchor in Chorillos Bay, 16km south of Callao. Trevithick adapted his technique of using air-filled iron tanks for salvage, developed in 1810 at Margate, and recovered a number of brass cannons from the wreck using a rudimentary diving bell. The 50 year-old engineer claimed the vessel's cargo of copper and tin, worth about £2,500, as payment. He was advised to send at least £2,000 of it to his family but instead invested the whole amount in his next adventure. He bought a two-masted square rigged brig, the Devan, and set sail for Colombia in 1822 to carry out an unknown mission for Bolívar. He stopped at Guayaquil in Ecuador, where he heard about gold being mined in Costa Rica. The news came from James Gerard, a Scotsman trading along the Pacific coast of South America. This was more exciting than working for Bolívar, so he changed course for Costa Rica, arriving at Puntarenas on the Gulf of Nicoya in 1823. Not content with a single goal, Trevithick used the Devan as a trading ship, and also planned to use his diving bell to harvest pearls off the Costa Rican coast. Though the government was in favour, its bureaucracy delayed official approval so long that he abandoned the idea of becoming a pearl fisher. The gold mines of Costa Rica are located in three mountainous areas (the Cordillera) some 1,500m high — Monte del Aguacate, Monte de Oro and Abangares. The first gold mine opened in 1821, with five or six discovered by June 1822 and in January 1823 Gerard wrote that he "cannot pretend to enumerate those in a state of progress and of promise". To Trevithick's relief, the climate was far more tolerable than the cold barren plains of Cerro de Pasco, though the mining area was subject to earthquakes. The gold could be removed from crushed ore by amalgamation with mercury on site, eliminating the difficulty and expense of transporting large quantities of unrefined ore. The mines also yielded silver. Back in Cornwall, Trevithick's patent royalties had failed to materialise and Jane and their children were compelled to move back to Hayle to be supported by her family. In 1824 her younger brother Henry Harvey built the White Hart Inn near the Harveys & Co foundry and Jane became its landlady. For four years Trevithick and Gerard prospected in Costa Rica, obtaining mining rights and concessions and apparently working mines at Coralillo and Quebrada-honda. In 1827 they decided to return to England and raise funds for developing the mines to a greater extent. Rather than use the Devan for the homeward voyage, which would have meant sailing around Cape Horn, they chose to try for an overland route from the mines to the Atlantic coast. There were no roads and the terrain began with mountain passes and descended into tropical forest, fast-flowing rivers and swamps. A group of eleven people embarked upon the expedition — Trevithick, Gerard and his servant, six local men and two brothers making their way to boarding school in England. The boys were José Maria Montealegre Fernández (1815-1887) and Mariano Montealegre Fernández (1816-1900) — José went on to study medicine in Edinburgh and would serve as Costa Rica's fourth President 1859-63, while Mariano would became a successful engineer. The travellers took three weeks to reach the port of San Juan at the eastern end of the border between Costa Rica and its northern neighbour Nicaragua. During the trip, three of the men and all the mules had tuned back when they reached swampy ground and another man drowned while they were crossing a river, Trevithick only regaining the bank with Gerard's help. Nothing more is known until Trevithick, Gerard and the schoolboys reappear in Cartegena, northern Colombia. Here, in August 1827, Trevithick met another great engineer who would be remembered for his steam locomotives — Robert Stephenson (1803-59). The 24 year-old was engineer to the Colombian silver mines, a post he had taken to improve his health in a country warmer than Britain. Trevithick had met the lad and his father George Stephenson (1781-1848) while visiting Wylam colliery in Northumberland during the first decade of the 19th century. Robert Stephenson gave Trevithick £50 to pay for his passage home, as Trevithick had no money and owned only a gold watch, a pair of silver spurs, a magnetic compass and a pair of drawing compasses, besides the clothes he was wearing. Gerard and the Montealegre Fernández brothers embarked with Stephenson and his colleague Charles Empson (1794-1861) aboard the brig Bunker's Hill for New York. The ship was wrecked close to shore but all were rescued and Stephenson's party enjoyed a trip to Niagara Falls before returning to England. They arrived in Liverpool in November 1827. Trevithick sailed via Jamaica and arrived in Falmouth on 9th October 1827. He had been absent for eleven years, much of which was spent without contacting his family and he must have wondered what kind of homecoming it would be. The route from Lima to Cerro de Pasco, Peru. Trevithick's steam engines were sought by investors in silver mines in the Peruvian Andes, as those of his rivals Boulton & Watt were too massive to transport along the mule tracks — the only means of access. Boulton & Watt's engines were also unable to deliver enough power to work efficiently at high altitude. While Trevithick was away on his adventures in South America, his wife Jane and their children moved back to her home town of Hayle. Her younger brother Henry Harvey built the White Hart Inn in 1824 and Jane became its landlady. The original building is now the town's Masonic Hall and is located near the site of the family business — Harvey & Co foundry. 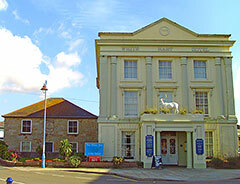 The original inn building is adjacent to the present White Hart Hotel, which dates from 1838. Jane Trevithick worked as landlady of the original inn until 1836.